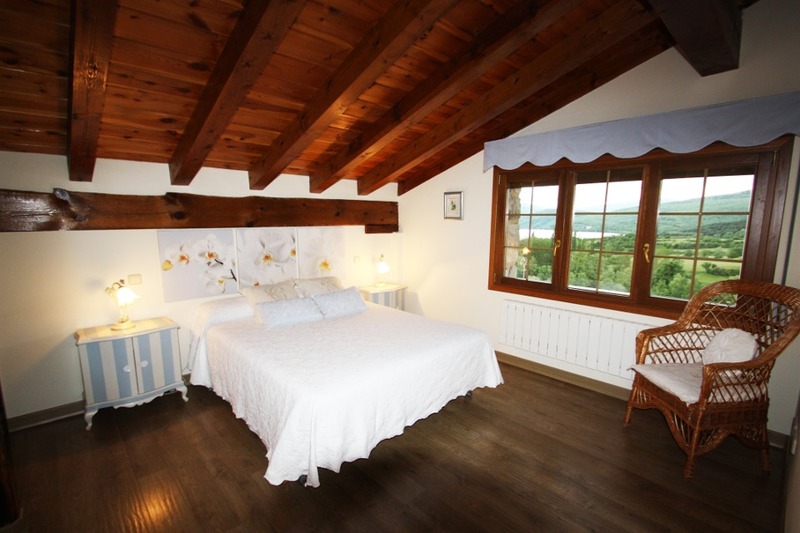 Two independent apartments of the Olmo House with direct access from the garden. 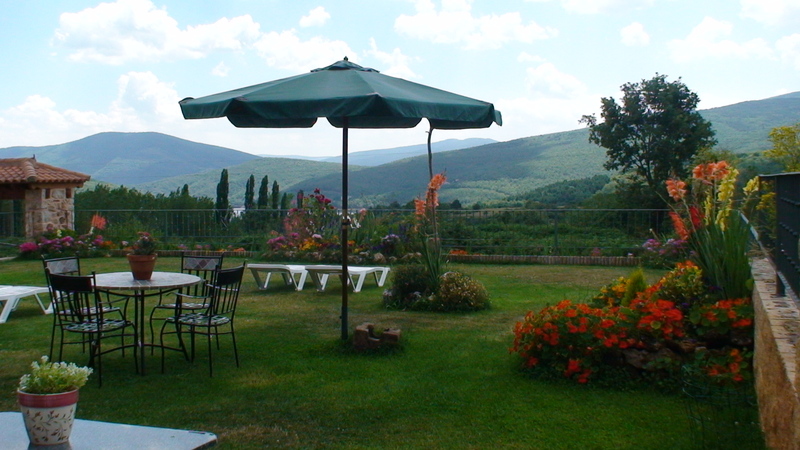 The apartments are equipped with a dining table and dining chairs and furniture for relaxing or quietly reading a book. 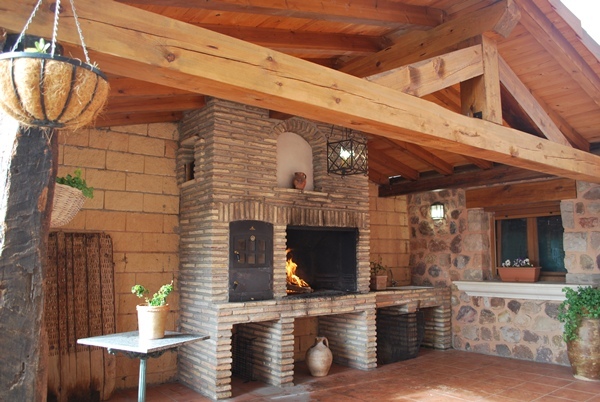 From the apartments you have access to the large, coveraged, barbeque. 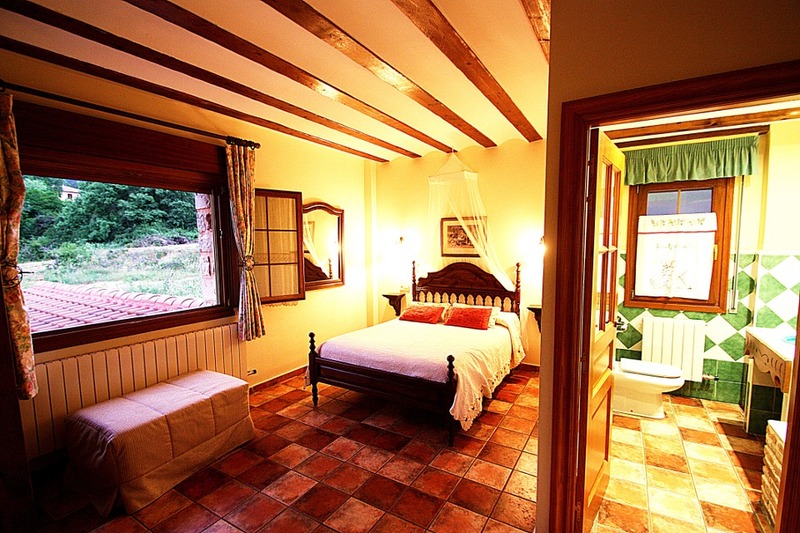 The building style of the house is characteristic for the mountain region (Sierra de Cameros). Its building materials are natural stone, wood and forging. 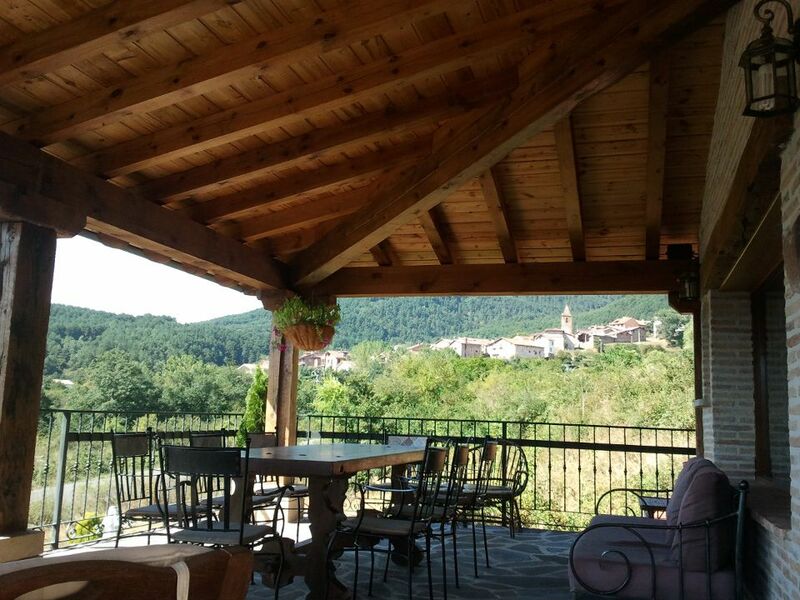 The house is located at the border of the village and offers spectacular views over the village, the reservoir, and the mountains. 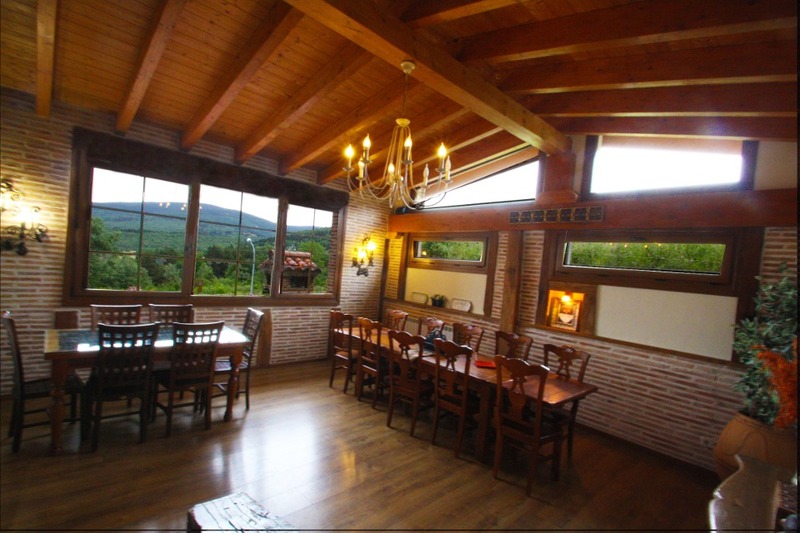 The area invites for relaxing, but also for discovering the Rioja region. Exclusively for our clients we offer massages, massages are either in a wine style, therapeutic style, our beauty style. You can enjoy these massages without leaving the apartment or the garden.